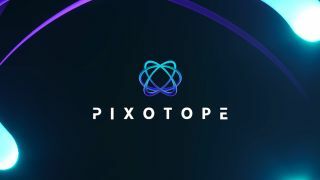 The What: The Future Group—an international technology and creative services company headquartered in Oslo, Norway—has introduced Pixotope, a virtual production software suite running on commodity hardware. The What Else: Pixotope brings Epic Games’ Unreal Engine to broadcasters and other businesses who use visual media with the aim of making it simpler to create real time, cinematic quality, cross-reality content. It harnesses the power and the granularity of data integration so that every element can become responsive or interactive. It is designed to take 3D, VR, AR, and data technology that’s emerging at an ever-increasing rate, and make it usable in nearly any production, at almost any budget. Create virtual sets and AR experiences with cinema-quality, real-time graphics to make a visual experience. Work with a single- or multi camera productions: everything is synchronized and dynamically linked. Make everything you do data driven, from personalized sets to whole content sequences. Use inexpensive, off-the-shelf hardware and GPUs. The Bottom Line: Pixotope is built to withstand the stress test of a live production, and has a host of features that integrate with any modern broadcast pipeline, such as camera tracking support. It can accomplish advanced real-time graphical processing including reflections, distortion, shadows, lightwrap and virtual camera moves, all without compromising quality, performance, or stability. Pixotope is available now as a subscription, at a price of $2,500 per month, per camera channel.